California artisan, Tanya Moreau-Smith of Tanamo Studios, hand-crafted this beautiful Australian Black Opal mosaic belt buckle. Love the colors on this one. 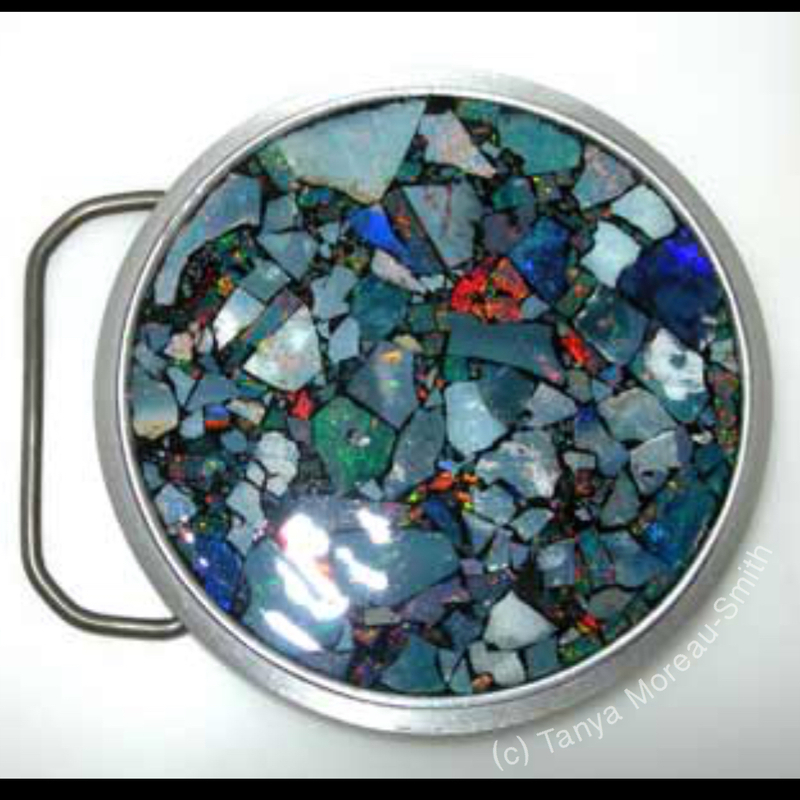 In Tanya’s buckle, we can see little bits of opal shards that others probably would toss out for their potential lack of usefulness. However putting all the pieces together as she did in mosaic style, created a colorful and beautiful work of art. Today’s mandala reminds us that even when what we do seems inconsequential, know that every bit counts and comes together to form a greater whole.